PAAIA’s 2018 Fall Retreat was a Success! PAAIA’s IA-100 Retreat in San Diego last month was well-received by the members who were able to attend. The retreat offered a variety of informative and thought-provoking panels as well as the opportunity to network and exchange ideas. PAAIA extends a big thank you to our local San Diego committee for their help in putting together this event and to Massih and Haleh Tayebi for so generously hosting us for dinner at their home. Keynote Discussion: Is There Safe Passage Through the Crossfire? 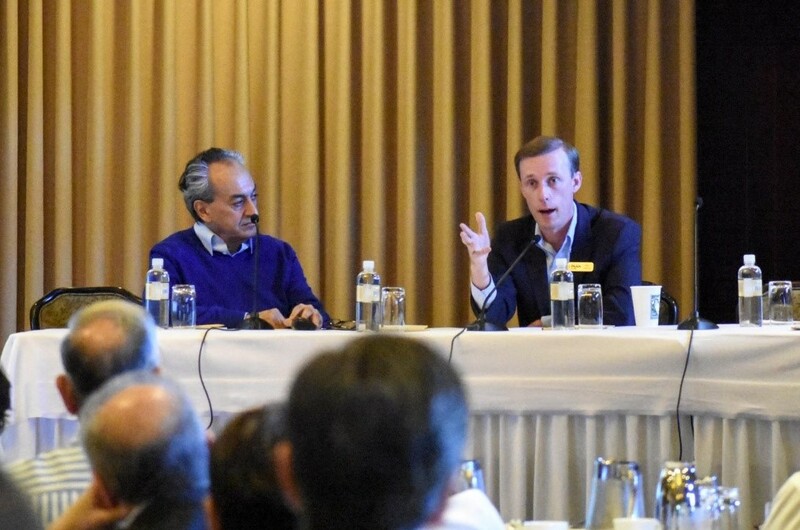 IA-100 member, Hamid Biglari, discussed the changing nature of American politics and U.S.-Iran relations with our keynote speaker Jake Sullivan, who served as Director of Policy Planning at the U.S. State Department during the Obama administration. As one of the main negotiators of the Iran Nuclear Deal (JCPOA), Sullivan shared intimate insight into his experience with Iranian diplomats and the importance of multilateral diplomacy as the best strategy to overcome conflict with Iran. The audience had a chance to ask questions after the discussion. Floyd Mori, the President of the Asian Pacific American Institute for Congressional Studies, John Radsan, a law professor and former Assistant General Counsel for the CIA, and Babak Yousefzadeh, the president of the Iranian American Bar Association, spoke on the Travel Ban panel. Yousefzadeh provided a legal overview of the Travel Ban and its implications for Iranians–the number one group affected by the ban, while Radsan discussed the administration’s justification for the ban. While there was agreement that there is no national security justification for the ban, the panelists conceded that it will probably not go away any time soon. Mori explained parallels he sees between today’s Travel Ban and the Japanese Internment camps of his youth and pointed out that, although it took a while, things changed for the Japanese American community and they will change for the Iranian American community as well. A follow-up discussion between panelists and audience members provided various opinions on how Iranian Americans should respond to the ban and the impact it will have on future generations. Panel II: What’s Next for Iran? Following a historic overview of Iran’s political history by panel moderator and history professor Ali Gheissari, three panelists presented their ideas on what the future holds for Iran. Djavad Salehi-Isfahani, Professor of Economics at Virginia Tech, discussed Iran’s economic situation, comparing Iran to neighbors like Saudi Arabia and Turkey. He also talked about the reasons behind the currency crisis in Iran and how it is making the financial situation very difficult for many Iranians. Mehrzad Boroujerdi, Professor of Political Science at Syracuse University, spoke about the complex power structure in Iran and how, although the number of clerics in the government are declining (as they move to non-elected positions), the Revolutionary Guard is gaining power. Ultimately, Dr. Boroujerdi concluded that a small circle of 25 people are the major purveyors of power in Iran and that because of the high rate of incumbency of these individuals, change is more likely to stem from elected bodies such as the parliament which have higher turnover. Farideh Farhi, Professor of Political Science at University of Hawaii, shared a presentation on the current political climate in Iran, including the continuing protests. She explained that the protests are a response to the economic situation facing most Iranians, mentioning that the lack of organization and leadership might hinder the development of a broader social movement. She predicted that the protests will continue as the economic situation worsens. All panelists agreed that Iran’s future is unpredictable, providing analysis that shows multiple possible outcomes. 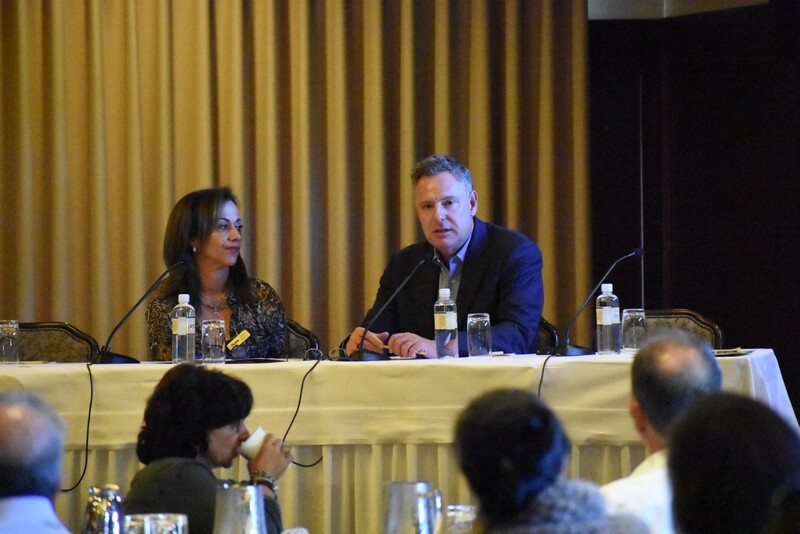 The retreat also provided the opportunity to engage with Congressman Scott Peters, the representative for California’s 52nd district. Representative Peters has been a great friend to the Iranian American community over the years and is currently working with PAAIA on a number of legislative issues. Attorney and philanthropist Haida Mojdehi, former Congressional Aide to Congressman Peters, led the conversation. Representative Peters provided a hopeful picture of the future of our nation. He contended that our institutions are strong and that American values will overcome the problems we’re currently facing. Peters is known for working across the aisle to achieve bipartisan solutions, and the congressman is looking forward to a more productive year. There are many variations of the ‘Iranian story,’ and everyone views their identity in their own unique way. Sahar Maali, PAAIA Emerging Leader and attorney, moderated this panel, which discussed Iranian American identity and the variety of ways we are represented and choose to represent ourselves. Persis Karim, Director of the Center for Iranian Diaspora Studies at San Francisco State University, explained how she views her own identity and how she became so attached to her Iranian heritage. She stressed the importance of allying with other communities to achieve our goals as Iranian Americans. She encouraged Iranian Americans to write more op-eds and get their stories out to promote understanding of our community in society at large. Melissa Etehad, an LA Times journalist, grew up in a household that was both Jewish and Muslim. That multicultural experience is what really helped to shape her identity, and she tries to use her own personal experience with pluralism in her job by telling stories about Iranian Americans and others who do not have their voices heard as much as they should. She encouraged Iranian Americans to get involved and mobilize against discrimination. She also warned about the need to build more bridges within our own community. Nima Fakhrara, a composer and ethnomusicologist in Los Angeles, who moved to the U.S. as a teenager talked about using his Iranian American identity in every single piece he composes by adding in elements of classical Persian music, even if the final piece has nothing to do with Iran. Like the two other panelists, Fakhrara concluded that the best way to change perceptions is to take ownership of our own stories. On Friday evening, retreat attendees previewed the film “Simple Wedding” to rave reviews at a special venue in San Diego. The film, starring Tara Grammy, Shohreh Aghdashloo, Maz Jobrani, Houshang Touzie, and Rita Wilson, is about a young Iranian American woman who falls in love with an eccentric American artist. When her traditional parents find out that they are living together, they insist the two get married. This insightful romantic comedy highlights some aspects of Persian culture while also underlining the cultural conflicts and generational tensions of being a young Iranian American. 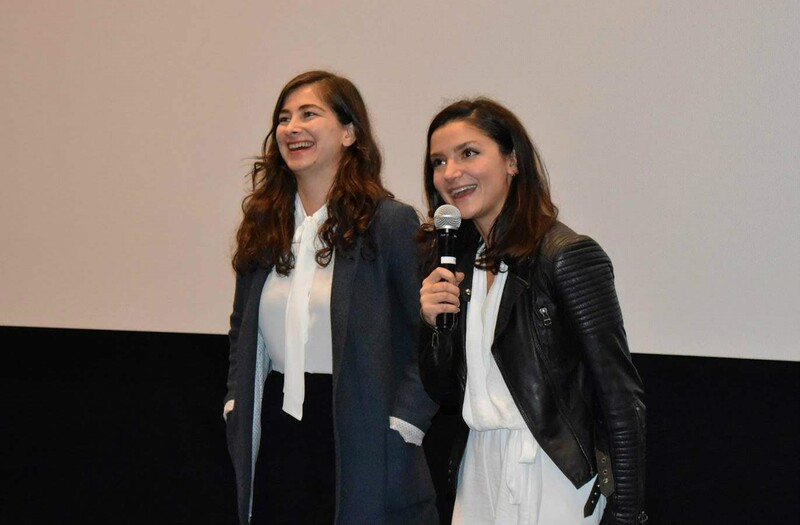 After the film, the writer and director, Sara Zandieh, and star Tara Grammy, discussed the film and the inspiration behind it, answering questions from the audience. Overall, the retreat was a success. The opportunity to hear from the expert panelists and engage with other members helped generate new and exciting ideas for this upcoming year. The retreat facilitated necessary conversations about increasing Iranian American representation and how to respond to policies that negatively impact our community. This event would not have been possible without the hard work and dedication of many helping hands. PAAIA would like to thank our excellent speakers, panelists, moderators, volunteers, and participants.